To attend the three-year-old sessional kindergarten program, your child must have turned three by the 31st January in the year that they begin. To attend the Four-Year-Old Sessional Kindergarten Program or the Extended Hours Kindergarten program, your child must have turned four by the 30th April in the year that they begin. To attend Friday Care, your child must be at least three and under six. To attend Holiday Program, your child must be at least three and no more than seven years of age. Is my child ready for four-year-old kindergarten? Children are only eligible for one year of four-year-old kindergarten unless they have a significant developmental delay in at least two developmental domains. Children are not necessarily eligible for a second year of four-year-old kindergarten just because they are “young”. If you are in any doubt, it is always best to delay kindergarten entry. Speak to your child’s current early childhood educator or your Maternal Child Health Nurse if you are not sure. Does my child need to be fully immunised before starting at LFK? ‘No Jab, No Play’ is the name of legislation that requires all children to be fully vaccinated unless they have a medical exemption, in order to be enrolled in childcare or kindergarten in Victoria. a current Immunisation History Statement from the Australian Immunisation Register (AIR); AND the statement must show that the child is up to date with all vaccinations that are due for their age, or that they are able to receive. An Immunisation History Statement from the AIR is the only type of immunisation record accepted by early childhood and care services for the purposes of confirming enrolment and must be provided within the two months prior to the child starting at the service. Children who were vaccinated overseas must have their vaccine records assessed by a GP or local council and be offered catch-up vaccinations as required. The GP or local council will then record overseas vaccines to AIR by submitting the AIR Immunisation History form. Children experiencing vulnerability and disadvantage are eligible to enrol in a service under a grace period, without having provided proof of up-to-date immunisation. The City of Port Phillip Immunisation Service provides vaccinations in accordance with the National Immunisation Program Schedule. Is there any fee help available? If your child attends 4 Year Old Sessional Kindergarten you may be entitled to fee assistance via the Kindergarten Fee Subsidy provided by the Victorian State Government. your family has had contact with Child Protection (or been referred by them to Child FIRST). If your child has a disability or developmental delay and requires additional support to attend kindergarten, there is funding available through Kindergarten Inclusion Support or Inclusion Support Programs. This funding needs to be applied for before your child begins kindergarten so please advise us ASAP if you think this may apply to you. If you think you may have any difficulty with fees please see Julie. The teachers at LFK are all qualified Early Childhood Teachers. Many of the support staff are also qualified teachers or hold a Diploma or a Certificate Three in Children’s Services. Play-based learning allows children to explore, identify, negotiate, take risks and create meaning. Children who engage in quality play-based learning have well-developed memory skills, language development and are able to regulate their behaviour leading to enhanced school adjustment and academic learning. Various teacher-initiated invitations to play will be offered each day, as well as incidental learning experiences, child-initiated experiences and opportunities for children to explore and discover for themselves. Each group has a teacher-led group time at least once per day. What is your Coastal Curriculum all about? Outdoor spaces invite open-ended interactions, spontaneity, risk-taking, exploration, discovery and connection with nature. They foster an appreciation of the natural environment, develop environmental awareness and provide a platform for ongoing environmental education. We are lucky enough to have the beach on our doorstep and each four-year-old group spends one morning a week. For further information please refer to our Coastal Curriculum handbook, visit our beach kindergarten page. What are the ‘educator to child ratios’ at LFK? 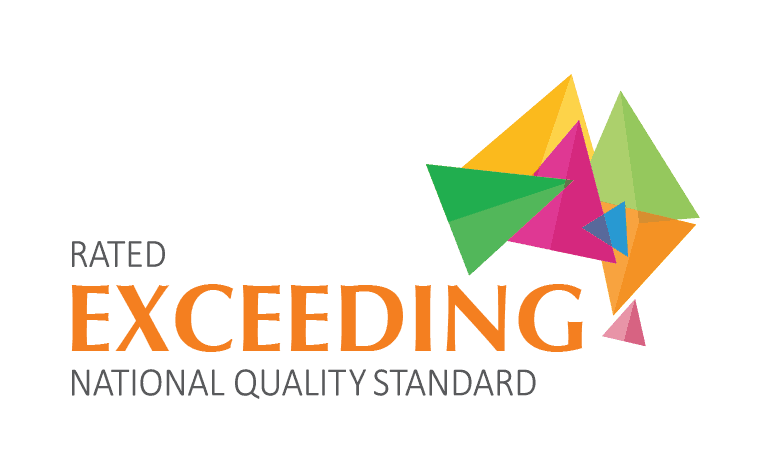 The National Quality Framework (NQF) sets out the minimum qualification and educator to child ratio requirements for children’s education and care services. For children over 3 years of age, up to and including preschool age, the ratio is 1:11 in Victoria. At LFK our educator/child ratio is always 1:10 and often is less. Can I attend on any days? Your child can only attend on the specified days. Sessional children may also use Friday Care if a place is available. To promote cohesiveness and group identity, children belong to one group or the other. (For example, we do not offer after care to sessional children) If you need to use after care, consider the Extended Hours Program. Fees in the Extended Hours Kindergarten Program are charged by the week whether you attend every day or not. We try to keep our fees low to acknowledge that some children may have a day off here and there. Do you provide food at LFK? Unfortunately, we don’t have commercial kitchen facilities at LFK so we do not provide meals for children. Instead, children bring their own lunchbox and a piece of fruit to share. LFK acknowledges that all children’s tastes and dietary needs are different and that you are the best person to decide what your child needs to eat throughout the day. Will my child have a sleep if they are in a program for the whole day? In the Extended Hours Program, ‘quiet time’ opportunities are offered after lunch inside the kindergarten room. Options include naps, reading, relaxation/yoga. This period enables children to re-charge their batteries for the remainder of the day! Does my child need to be toilet-trained before attending LFK? It is preferable that your child is toilet-trained before commencing at LFK but we recognise that each child develops at their own pace – we will support the child/family through this transition sensitively. Are there set times when my child can play outdoors? At LFK your child is free to play indoors or outdoors as they wish other than when there is ‘group time’ or lunch time. We encourage each child’s initiative in our play-based programs and find many children prefer to be outdoors in our lovely grounds! Does the kindergarten open during the holidays? The Kindergarten and Friday Care Programs are replaced in the two-week breaks between each term when the LFK Holiday Program runs. The Kindergarten closes in late December each year are re-opens again ready for the first term of the new year. The Victorian Government provides a free interpreter service for families attending funded kindergarten programs. Please see Julie. My child has a diagnosed medical condition – how will this be supported? At LFK we have a number of Policies and Procedures governing our management of children with medical conditions or special dietary requirements. The child’s needs are identified during enrolment and staff work closely with parents/carers to develop management, communication, medication and action plans accordingly, prior to the child’s attendance at LFK. All LFK staff have current first aid qualifications including anaphylaxis and asthma emergency management. What support is there for children whose first language is not English? At LFK we often have children attending whose first language is not English. Some children have no English language at all on commencement. Teachers can arrange additional language support for children through support agencies and will work closely with families to ensure children transition into the kindergarten smoothly. Surprisingly, children are often clearly communicating in English within a few months of attendance at LFK! How is my child’s culture and religion supported at LFK? Our children come from a wide range of cultural and religious backgrounds and our staff respect and are sensitive to, the diversity in our ‘LFK family’. If you have special cultural or religious requirements for your child, please discuss these with your child’s teacher so these can be accommodated accordingly.